I may have over done it, in the present department this year. This was the first year Evelyn truly understood Christmas, Santa, the Elf and that we were having a BIG party for the Baby Jesus. This age is so much fun, full of expressions, funny phrases and genuine childish wonder, I really tried to soak it all up with her this year. It’s always in the back of my mind that she will be with her Dad next year on Christmas morning so it will really be two years until I get to see her excitement over Santa’s visit again. A blessing and a curse because it does force me to be more in the moment and enjoy our time but I’m always anxiously awaiting the next time she leaves. All the Disney Princesses. All Princess, everything. 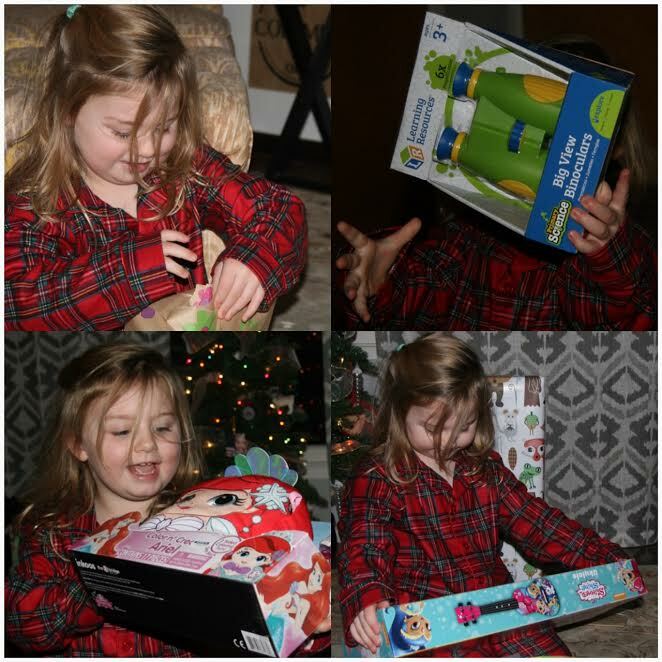 Nobody opens their own present with Evelyn around! Anyone else all about Shimmer and Shine at their house? Talk about over doing it on Christmas morning! My parent’s had stacks on stacks of presents. There were a lot of people there being gifted, but even as an adult it is exciting to walk in and see that Santa delivered in full force. 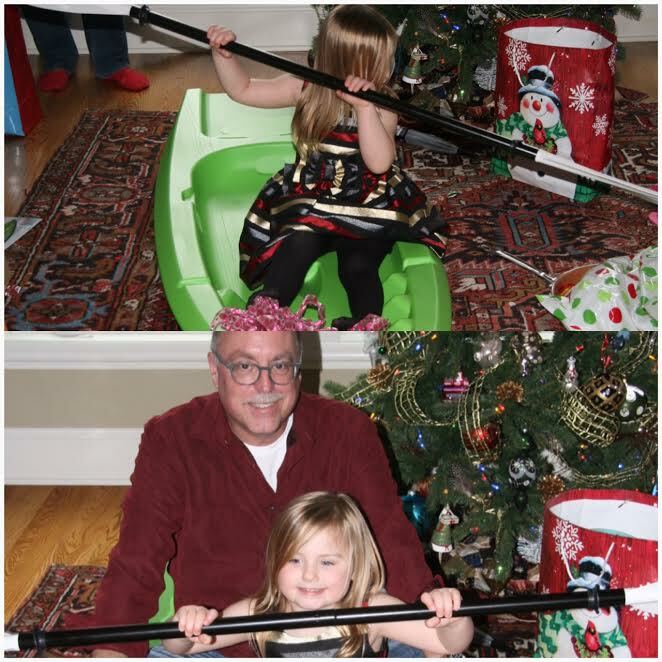 Along with all the toys, Evelyn also got her very own boat for Poppy’s lake house. There is nothing quite like a Poppy, who only buys you the most fun things. Can you guess who also gifted Pie Face to Evelyn? 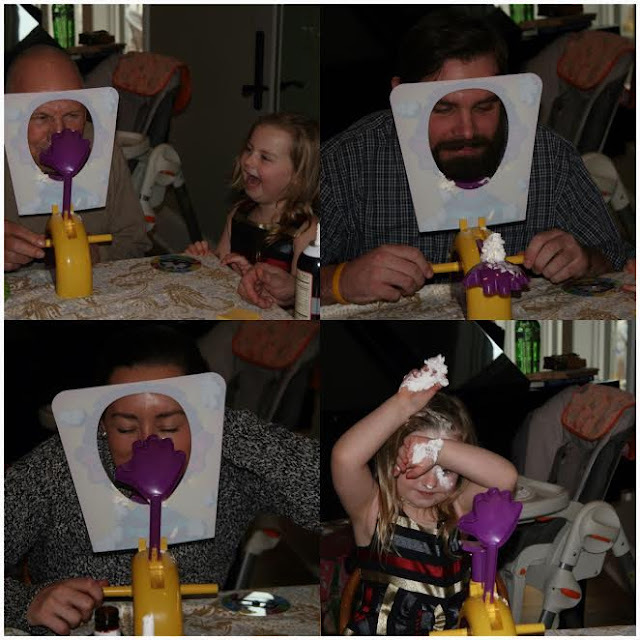 The Pie Face Game was a BIG hit and brought lot’s of laughs. The Wernecke is strong in this photo! My Manfriend and his wonderful Mama. 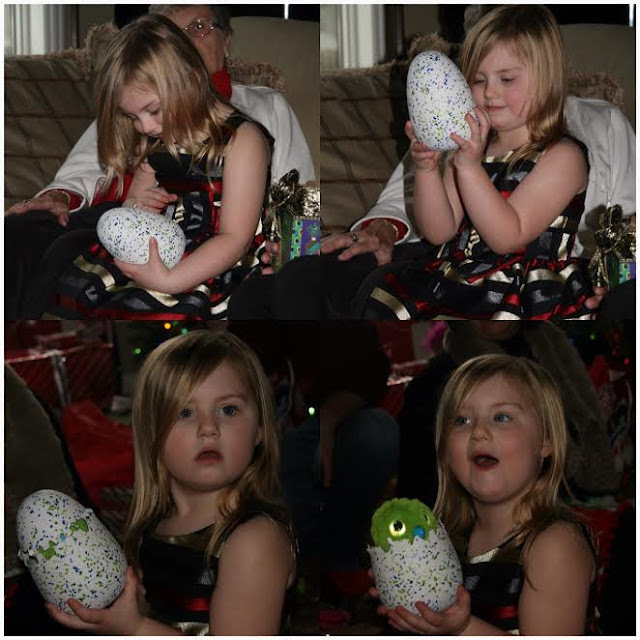 Damn Hatchimals, I didn’t know what a Hatchimal was until a few weeks before Christmas when Evelyn began declaring it was the only thing she wanted for Christmas. In the same five minutes she made this initial declaration, I also learned via Channel 4 News that Hatchimals were the Tickle Me Elmo’s of 2016. Nowhere to be found and hundreds of dollars to get one if you found it. Santa was in a sheer panic. I was relieved when I learned that Evelyn’s Dad had located a Hatchimal and there would be one in NC with her name on it. Some what disappointed I wouldn’t get to take part in the opening of the only toy she talked about, but at least she’d be getting her wish fulfilled. Leading up to Christmas, Evelyn talked about Hatchimals everywhere we went. I started explaining to her, to remember Santa was going to visit all of the house she went to and she needed to remember not all of her toys would be at the initial houses. I should have known, Poppy would not let his Evelyn be disappointed. My dad is a pilot and on a trip to Seattle he happened to call a Target to see if there were any available. The lady on the phone stated she had two left and my Dad rushed over. Why he didn’t buy the second one also and sell it for $500, I’ll never understand. At this point I should wrap up this story with a intelligent little quip about the little green thing, that spins around my house, with red eyes, squawking. I think that means it’s hungry or mad.